We are able to consult, advise and recommend not only on the legal intricacies of obtaining a license under the new Michigan marijuana laws, but also through our extensive network, on the requirements and availability in the 276 cities, 257 villages and 1,240 townships throughout the state. Baldori & Associates has an extensive history in the practice of Criminal Law. Controlled substances and forfeiture are two of our specialties. We have litigated countless drug and forfeiture cases, both state and federal. Baldori & Associates have a long history of advice and counsel to business ventures, particularly in the startup stages. In addition, Mr. Baldori is frequently retained to oversee due diligence for investors considering venture proposals. Whether you are considering a small sole proprietorship or a multi-million dollar corporate venture, Baldori & Associates have the resources and experience to guide you from the outset to achieving the goals of your business plan. In addition, we can guide the preparation of the entire ‘kit’ for starting and funding a venture, including essential elements of business formation. Such elements necessary for sound management of a startup include: executive summary, business plan, pro forma, term sheet, articles of organization, tax ID numbers, and more. Baldori & Associates are experts on patient / caregiver certification and can guide qualified applicants through the process of acquiring a valid Michigan Medical Marijuana card. Good news if you don’t have cash. You can use your car for collateral check our page for more info. 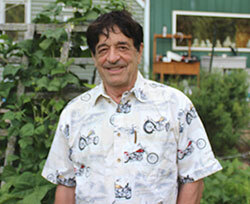 Robert Baldori has been at the forefront of progressive reform of drug laws for over 40 years. He has worked with NORML and various other organizations in an effort to de-criminalize all drugs and come up with drug policies that constructively address addiction and drug abuse. 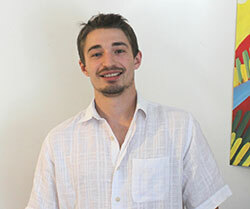 Marcus Baldori is a law clerk currently in his last year at University of Michigan Law School. Marcus transferred to Michigan Law after reaching the top of the class at MSU College of Law. During law school, Marcus clerked at Sinas & Dramis Law Firm in Lansing and Fieger Law in Detroit helping in the representation of injured parties. Marcus is on the Journal of Race and Law at Michigan Law.